Speaking during an interview on Channels Television on Monday, a chieftain of the party Sanni Umar wondered how the government would continue to insist that the insurgents have been technically defeated amid the recent attacks. 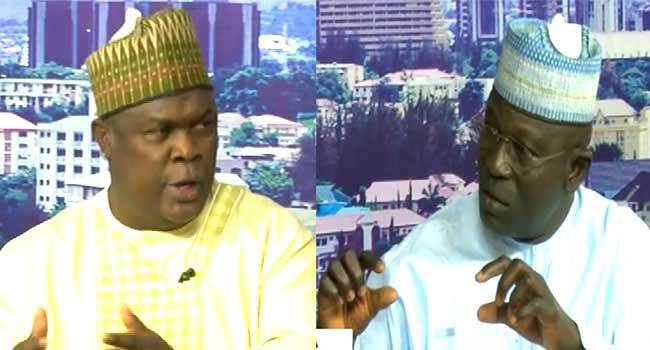 “The issue before the coming of the APC, we are very clear that we were about ending the Boko Haram when the APC came in with their new style which is to mobilise the military department to the borders and yet, it has not even generated any effect,” he said during his appearance on Sunrise Daily. Umar, a spokesperson for the PDP Presidential Campaign Council added, “Let me say clearly that the strategies of the Boko Haram have continually changed. According to him, the inefficiency of the government led to the attacks in the northeast which claimed that the lives of some civilians and troops deployed in the war against insurgency. The PDP chieftain said the military is poorly equipped and not adequately trained in modern warfare, adding that they lack the required experience to fight the terrorists. He revealed some of the approaches used by the administration of former President Goodluck Jonathan in containing the activities of the insurgents. “What he (Jonathan) was doing was that for every country where we were buying arms, they must come and operate the arms along with the military,” Umar said. He explained that this was to ensure that the military was well equipped and informed about how to use the weapons to overcome the insurgents in the theatre of war. The PDP disclosed that should the PDP regain power at the centre, their task would be to provide the military all the support they need to win the war against insurgency. “Once your military is being killed, the strength of the sovereignty of the nation is under threat and once the sovereignty of the nation is under threat, people are vulnerable,” Umar warned. In a swift reaction, a member of the APC Advisory Council, Sulaiman Abba, condemned the comments of the PDP chieftain. According to the former police boss, for one to recommend bringing machinery to fight the insurgents is like “taking us back to the colonial era”. He insisted that the nation is blessed with a military that is well trained, stressing that it has been able to cage the terrorist group. Abba also said the military has done its best in the war against insurgency since 2015, adding that the description of the military as untrained and unequipped was an indication of ignorance. He stated, “They (military) have caged Boko Haram to restricted or to certain areas, and that is why they are the ones suffering most now because they hardly can get to the soft targets we are talking about. “Are there any talks about postponing elections now? Are there any talks about not holding elections in Borno, or Yobe, or Gombe? So, there is no basis for the comparison,” he said.